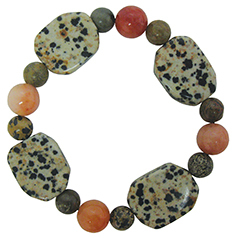 Item #IGM-FAC-CN-48: 47" continuous stand necklace of approx. 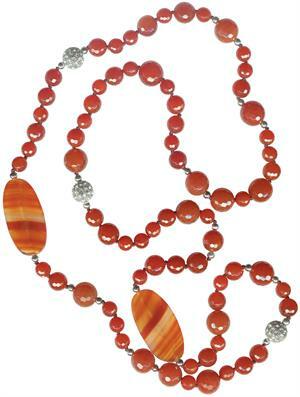 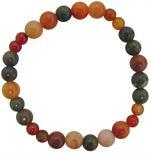 9-16mm faceted, round Carnelian beads, two 24x47mm fancy oval Banded Agate beads and crystals in base metal. 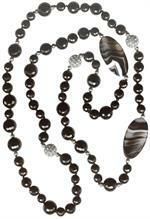 Item #IGM-149503-8: 28" long Black Agate Bead necklace. Item #IGM-FAC-BO-48: 48" continuous stand necklace of approx. 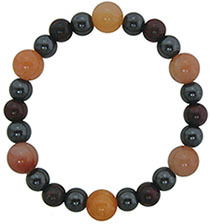 9-16mm faceted, round Black Onyx beads, two 24x47mm fancy oval Banded Agate beads and crystals in base metal.